Finally I finished my last Christmas present! 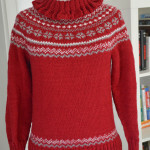 Another Norwegian sweater in blue and off-white for Yannic. There is no problem blogging it before Christmas, because he sat the most time right next to me while I was knitting. 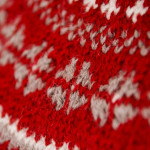 Plus he chose the pattern for the sweater and from time to time he had to try it on. With the yarn left over I made a matching bonnet. It will also be a Christmas present but not for him. 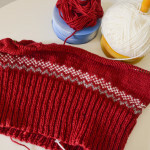 I just wanted to show you my latest knitting project. 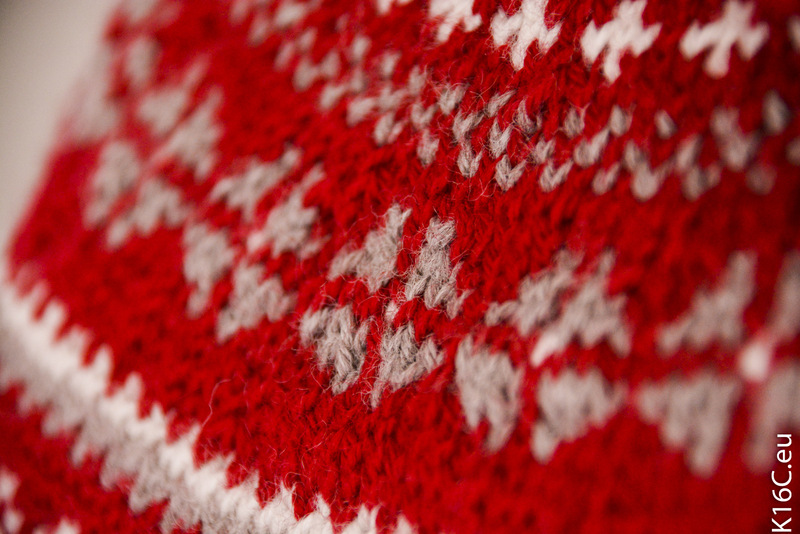 A Norwegian sweater knitted with Fair Isle technique. It was the first time I used this technique and in retrospect it sounds more complicated than it really is. 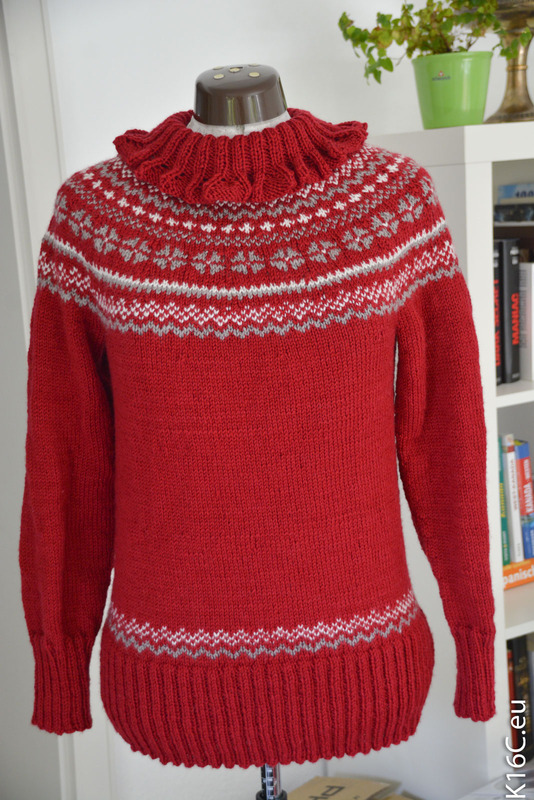 I was surprised that I finished this sweater that fast (It took me only 4 weeks). 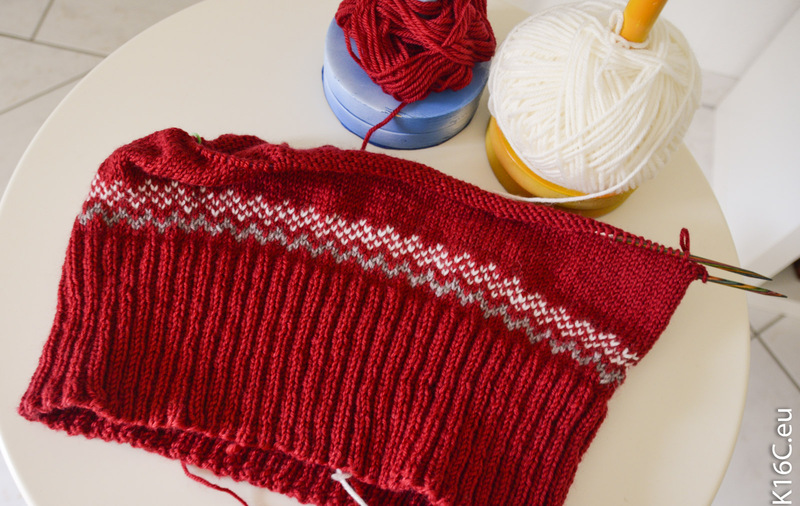 I always purchase one extra ball of each color just to be on the safe side, so had some wool left over and knitted a matching bonnet (the add-on) with the same pattern. You can get the instructions for free from DROPS Design (drops design model no. 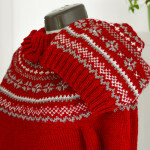 122-2), where you can find the patterns for the matching bonnet, gloves and collar too. You can directly purchase the needed wool on site at Lanade. 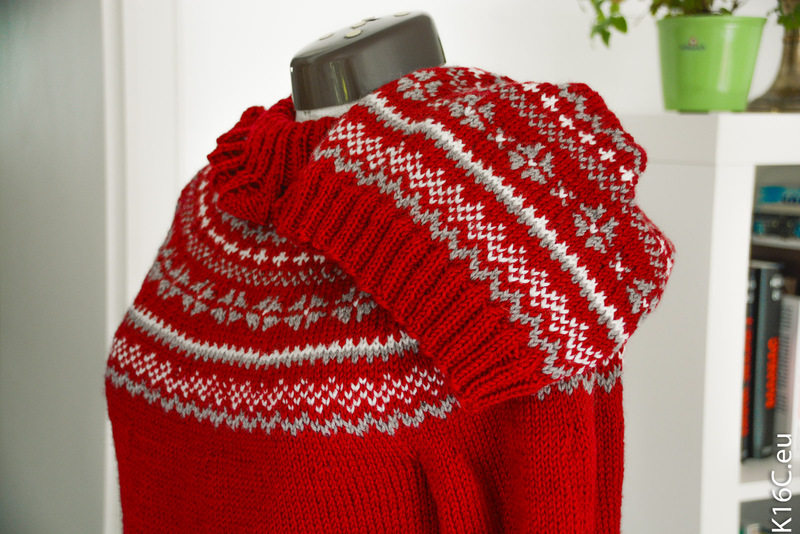 I ordered exactly the wool and color used in the model, red, grey, and white. So I am ready for winter but let’s hope the summer stays a while longer.